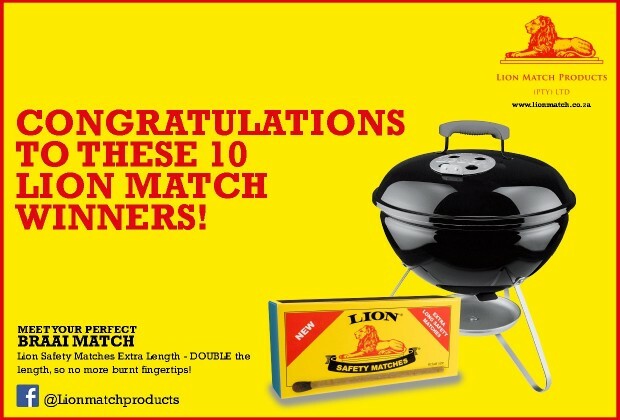 Congratulations To The 10 Lion Match Hamper Winners! The 10 winners of the Lion Match competition have been announced! Our lucky winners are walking away with a Lion Hamper which includes a mini kettle braai and Lion braai essentials.